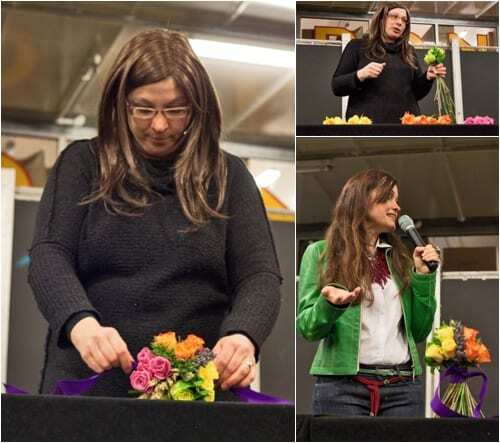 Last month, I was very fortunate to attend a College Day for floristry students at New Covent Garden Flower Market in London. 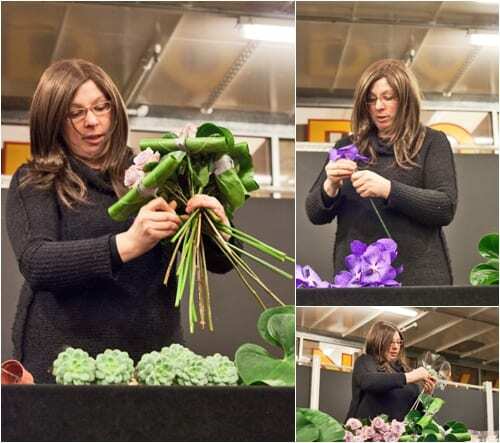 The highlight of the morning for me was a wonderful demonstration by Susan Lapworth, Creative Director at florist Jane Packer, compered by Andrea Caldecourt. 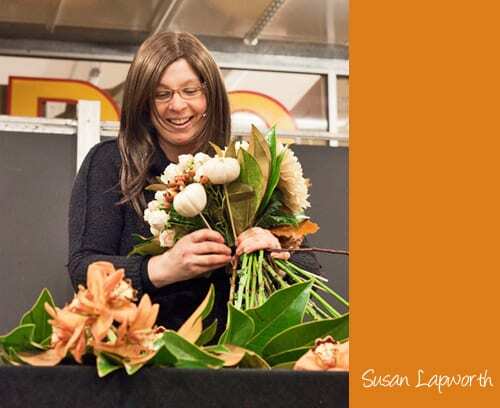 Susan started off by showing us how to make a Victory Bouquet which the Jane Packer team created for the London Olympics 2012. She explained that the bouquet was designed so that it would look good from all angles…on the presentation cushions and being held aloft. It contained four different types of roses, together with lavender, rosemary, mint and wheat. 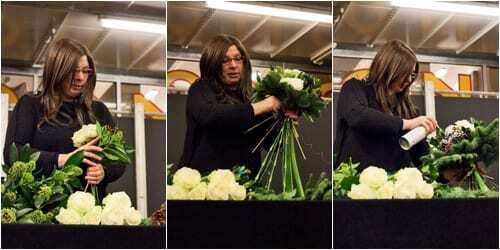 Then Susan made four more bouquets, one for each season…and they were all absolutely stunning! 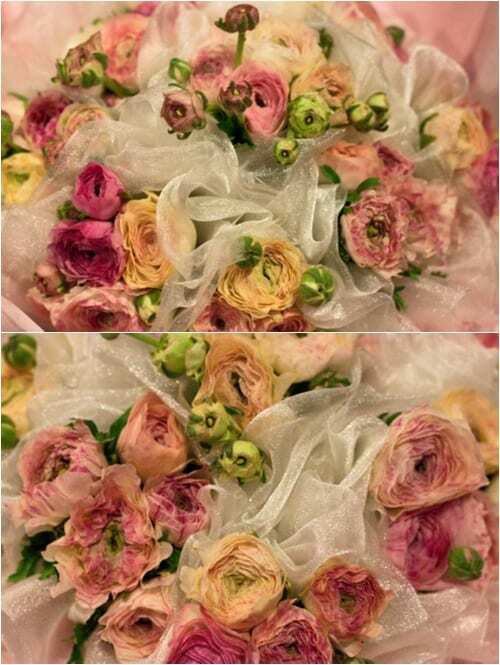 Using beautiful ranunculus in pastel shades, she made mini bouquets and wrapped them in white chiffon. She said that, as an alternative, you could use tissue paper or organza. 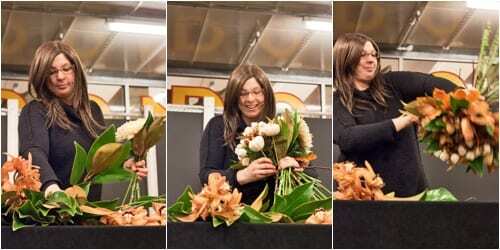 Then she combined the individual designs to make a large hand-tied bouquet. 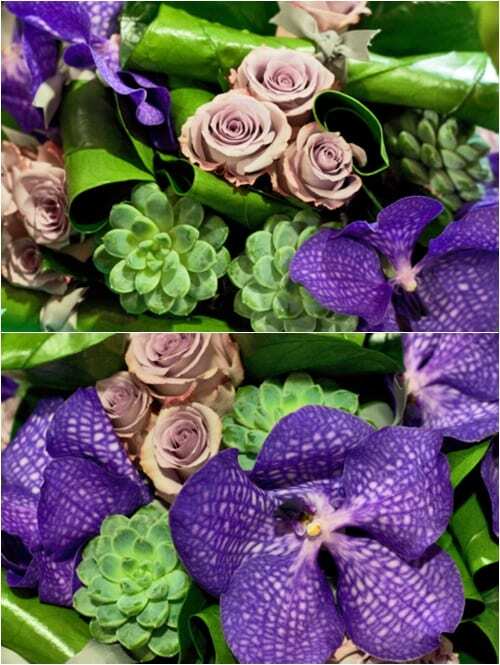 In the summer bouquet, she arranged lilac ‘Boyfriend’ roses, anthurium leaves which she’d curled and tied with ribbon, echeverias on sticks and Vanda orchids in groups. 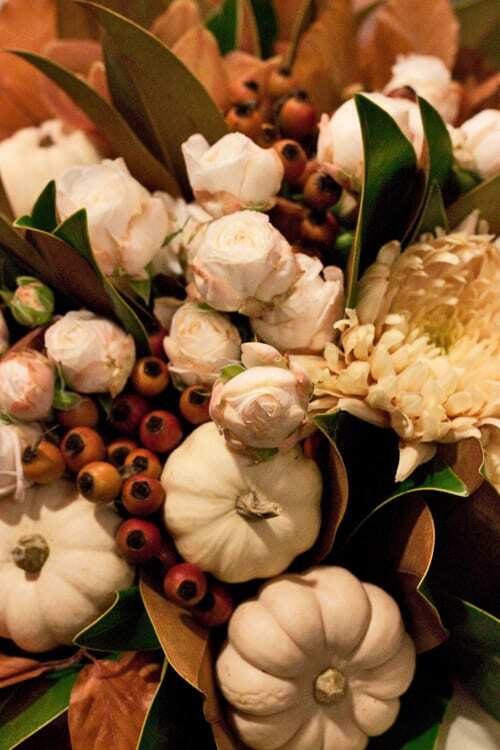 For the Autumn design, Susan used ‘Avignon’ chrysanthemums, ‘Bombastic’ spray roses, ‘Charlie Brown’ cymbidium orchids, rose-hips, magnolia leaves and beech leaves. 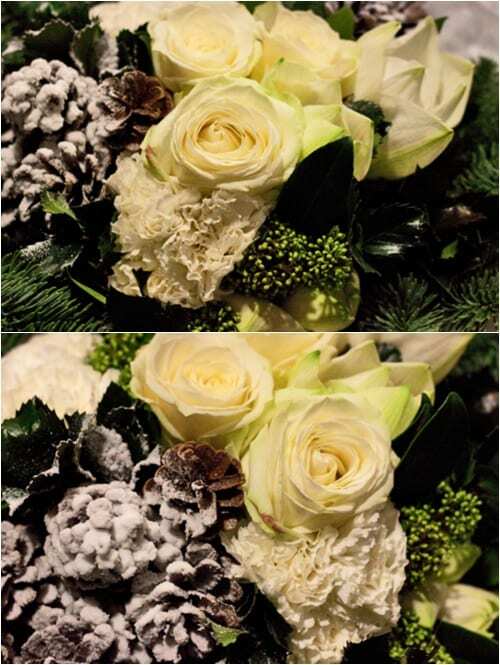 And finally, the Winter design featured white ‘Avalanche’ roses, amaryllis, carnations, ‘Kew Green’ skimmia, ‘Blue Prince’ holly, pine and pine cones….plus a little touch of snow! Each of the designs was beautifully wrapped by Susan’s colleague, Charlotte Slade. The demonstration was full of hints and tips, from how to secure echeverias on sticks to then include them in a bouquet, to how to wire a pine cone. All the designs were gorgeous, but if I had to choose my favourite it would be the Spring bouquet, as I adore ranunculus! 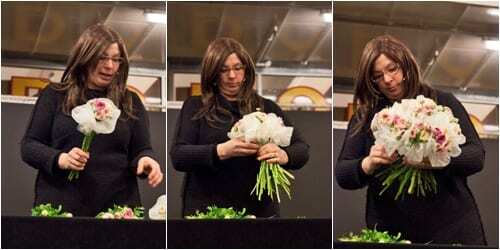 Hi Susan nice to see your bouquets still look fantastic . I hope you get to read this as it would be nice to meet up or catch up . I can remember when we all went to holland and saw the Dutch bouquets outside the shops and thought that it would be far better doing these than flat bouquets as they would look better because they would go straight into the vases . Hi Mary, thanks for your lovely comments! And those dutch bouquets were hand tieds which is now the most recognised bouquet florists make, makes me feel really old to think they were new and exclusive back then!!! Would love to catch up, ring me at the London store 020 7935 2673.